For the perfect way to meal plan, prep and eat better - head to Let's Cook! Eating healthy and making better choices when it comes to good is something I've always struggled with as an adult. But now, at the age of 26, it's time to be more conscious about what fuel I put into this body. This resolution has been on my list since 2019 arrived and it's one I plan on sticking with this year. In fact, I'm already 8kgs down and loving my new diet and lifestyle. But sometimes, as most health aficionados could tell you, your weekly food shop can become a little boring and stale if you stick to the same foods day-in, day-out. Sure it's great for your waistline, but the last thing we need is our healthy lifestyle feeling like a chore. This is where I introduce you to Let's Cook. With a large number of recipes complete with high-quality ingredients, this Dubai-based meal planning and delivery service promises to provide fresh food at your doorstep. All you have to do is cook it. Let's Cook offers weekly meal plans with ingredients for between 1 to 4 people, depending on your preference. Once you've selected your choices for the week from the list of chef curated recipes, the pre-portioned ingredients are delivered to your home. Speaking from experience, their service is a superb way to incorporate diversity into your weekly meal plans - and their recipes are really easy to follow! In fact, my whole Let's Cook experience was wonderful. To start, I had to create an account on their website, after which I was able to select which meals I wanted to try. This time I chose just two dishes for my husband and I to try together at home; the low-carb cheese and spinach stuffed chicken breast, and the chicken teriyaki with broccoli and soba noodles. Once I'd chosen my recipes, all I had to do was check-out and arrange delivery. The service offers free delivery to customers, and the timing was very prompt - 10 minutes early, in fact! Which I was pleased about. To make sure everyone's super organised, you must submit your order for the following week on a Wednesday - for it to be delivered to you on a Saturday. Easy! Not only was the delivery timings spot-on, but so was the packaging. Everything in my Let's Cook box had correct instructions for storage included, ensuring no mistakes are made. 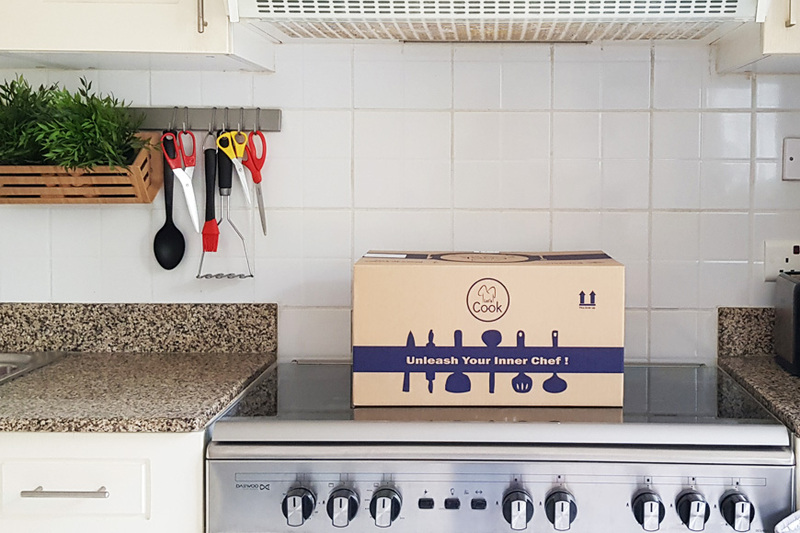 The packaging itself explains how to store and handle the meat, fish, and poultry inside the box, as well as the vegetables that are individually portioned and packaged. There are also instructions on defrosting items. If your recipe includes raw meat, these are stored separately at the bottom of the box, separate from the vegetables, dry foods and sauces. There was also a Let's Cook apron included - which, of course, I wore whilst cooking my meals! - and detailed instructions on the recipes you've chosen. These information sheets include facts about some of the ingredients you've received (did you know? Cheese is a good source of Vitamin K2 that helps improve heart health) as well as the time it will take to cook, how many calories are in the meal, as well as the nutritional values of the recipe. Not only that, but it tells you the number of ingredients required for the number of people you have selected the meal for. Plus, there are additional notes on what you'll need in your pantry - i.e. oil, hot water, salt, and pepper. On the reverse, you'll find complete, detailed cooking instructions on how to cook the dish yourself at home. Both of my recipes took me no longer than 45 minutes to gather the ingredients from storage, read the recipe, prepare, cook the dish, serve it and enjoy! Both meals were delicious when finished - and my husband was most impressed with the 'cooking' I had done, ha! But seriously... For anyone who is pressed for time, who struggles to meal prep and plan or is wanting to improve their eating habits, Let's Cook can help you on all fronts. If you want to find out more, simply press Click to Contact below to get in touch with their team directly or visit their website here. Currently, Let's Cook are offering a special discount code for ExpatWoman readers who use their service! Simply use the code EW10 upon check-out to avail a 10% discount on your purchase.